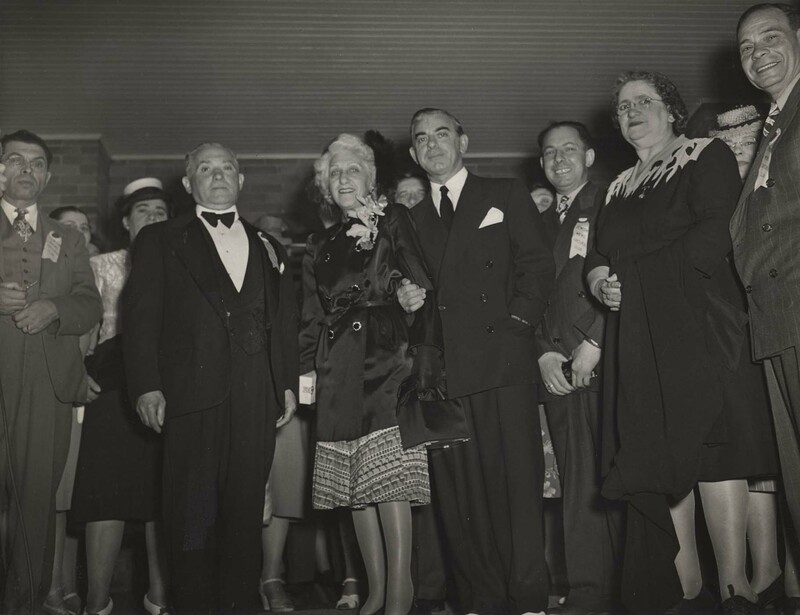 Photograph depicts (l-r) Adasha Wosk, [possibly] Hirch Herman, Ida Cantor, Eddie Cantor, and three unidentified people. Written on the verso: "J. S. Finkleman. 'A' Inset. 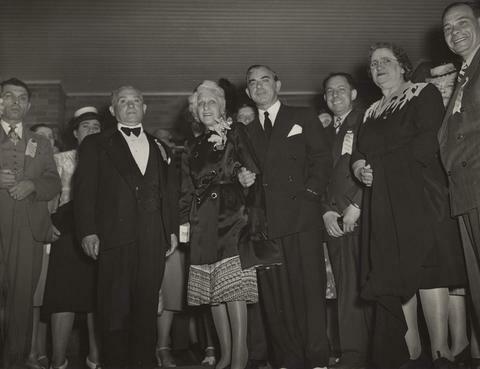 Opening of Jewish Old Folks Home on 13th Ave. Left Adasha Wosk, Ida & Eddie Cantor. 54083-7."